Weight loss surgery, or bariatric surgery, has become a leading treatment of obesity in the United States. If you have tried to lose significant amounts of weight repeatedly and failed, a weight loss surgery (WLS) may be an option. When complemented with dietary changes, exercise and counseling, weight loss surgeries allow a patient to lose pounds and maintain a healthful weight. In addition to the normal complications and General Risks of Surgery, weight loss surgeries present their own unique set of complications and side effects. Learn more about the risks of weight loss surgeries before you make a decision. The cost of weight loss surgery varies from surgeon to surgeon. It can range from $15,000 to over $40,000, if the surgery is successful and there are no complications. If your insurance pays for this type of surgery, you will need to be pre-approved, a process that requires input from both your surgeon and your primary care physician to document your need for surgery. The process is typically initiated when you have your initial consultation with your surgeon. Commonly referred to as gastric bypass or metabolic surgeries, these procedures partially bypass the small intestine, limiting the body’s ability to absorb nutrients. The unprocessed food passes through the body as feces while the decrease in calories causes weight loss. These procedures work by making you feel full with far less food. Since you feel full more quickly, your total intake of calories is lower, resulting in weight loss. These procedures combine elements of malabsorptive and restrictive procedures to make you feel full more quickly and reduce the number of calories your body is able to utilize from the food you eat. 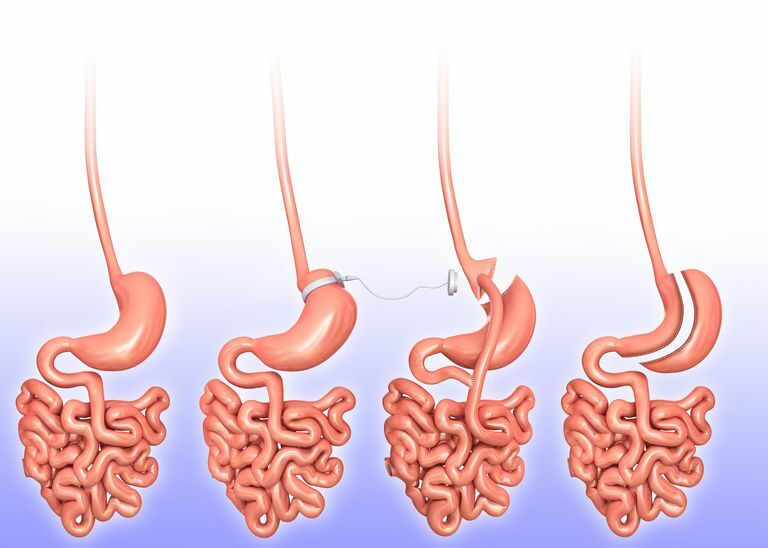 Biliopancreatic Diversion with Duodenal Switch (BPDDS) Also known as vertical sleeve gastrectomy with duodenal switch (VSGDS). Once the surgery is over, the real work begins. Your surgeon will have many guidelines for you to follow in order to lose weight and keep it off. Instructions for your recovery vary greatly between procedures and surgeons, following them to the letter will give you your best chance of an outstanding long-term outcome. 25 Tips For a Successful Weight Loss Surgery . Your surgeon will also give you incision care instructions to help you take proper care of your surgical site(s). What If I Have Loose Skin After Surgery? Jones,Nicolas V. Christou, MD, PhD, Didier Look, MD, and Lloyd D. MacLean, MD, PhD. " Weight Gain After Short- and Long-Limb Gastric Bypass in Patients Followed for Longer Than 10 Years." Annals of Surgery 2006 November; 244(5): 734–740.